LONDONDERRY, N.H. — Concluding just in time for New Hampshire voters to scurry home and catch the ABC/Des Moines Register GOP debate in Iowa, Jon Huntsman addressed a full house of supporters at Londonderry High School. The comparison of stakes is compelling. This was not the first time Governor Huntsman has offered alternative programming to a nationally-televised debate. On October 18, Huntsman chose to forgo the CNN Las Vegas debate in a gesture of solidarity with New Hampshire's first-in-the-nation primary status in the face of Nevada's short-lived decision to move its voting date earlier in January. Nevada eventually backed it's primary date, but not without the full crop of his opponents spending two hours in the spotlight, and Huntsman didn't see a boost in his New Hampshire polling number in the weeks that followed. Drawing a crowd of around 150 voters is not insignificant. On a freezing cold night (the earliest sunset of the year, in fact) at a facility with not a single piece of signage along the busy road, Huntsman's ability to put so many bodies in the seats on the average night is a powerful indicator tipping in his favor. 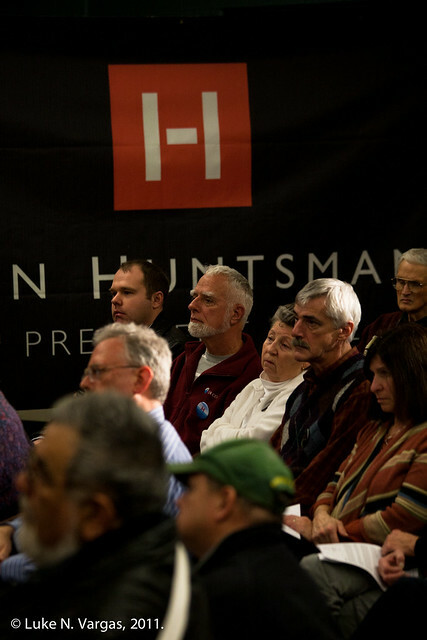 What Huntsman loses out on are perhaps five million television viewers, and with only two network TV cams (used primarily for reel footage) and two wire photographers at the event tonight, each successive event doesn't generate much coverage on its own. Instead, Huntsman's strategy is one of accumulation, the slow amassing of mentions in conversation, campaign sign impressions along the roadside, and a positive rapport with local media. Is the strategy paying off in the state? The answer isn't clear. Although Huntsman crossed into double digits in a recent state survey, he has yet to string together the gains in consecutive polls that he'll need to finish second or better in New Hampshire. 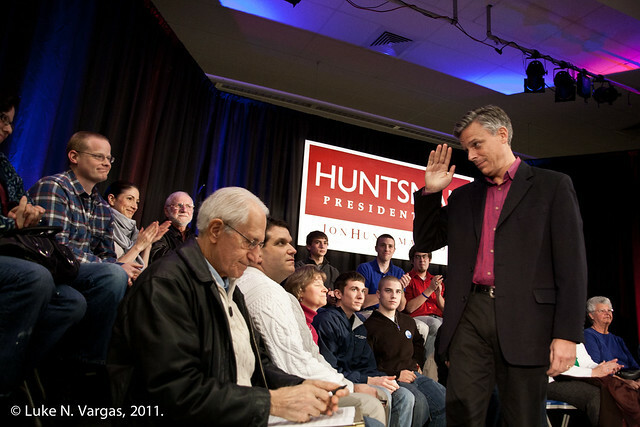 In lieu of new numbers this weekend, Huntsman's support can only be measured in the enthusiasm of his supporters. With new eight foot long campaign signs rolled out across the state earlier on Saturday, the real test of the depth of Huntsman's support will soon be seen when voters begin to associate how crucial New Hampshire is to Huntsman's campaign with his increased visibility in the state. View the full-screen gallery (recommended) on Flickr here. 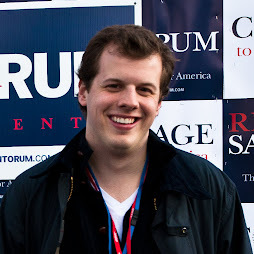 Hi Luke, I was one of the voters you photographed during the Londonderry meeting. The shot you took of the Huntsman girls admiring my N.H. Medallion was superb! Thank you. I have the details of the Medallion. Jackie Guay of Designs by Jacqueline.